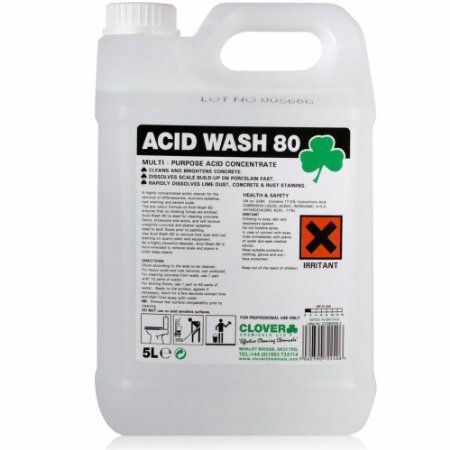 ACID WASH 80 is a highly concentrated surfactant and hydrochloric acid cleaner which is used to remove severe scale, without odour or fumes. Can also remove plaster and cement splashes. Recommended for deep cleaning toilets in industrial or public washrooms. ACID WASH 80 is not suitable for use on stainless steel.